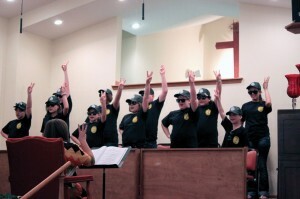 The Perry, First MAD (Music and Drama) Choir demonstrates the Agency D3 VBS music and motions. • Was Jesus more than just a good man? • Was Jesus’ death real? Once your secret agent kids answer these questions, they will be prepared to defend their position at school, on the playground, or on the ball field. Cherokee Strip Association (CSBA) did things a little different this year. 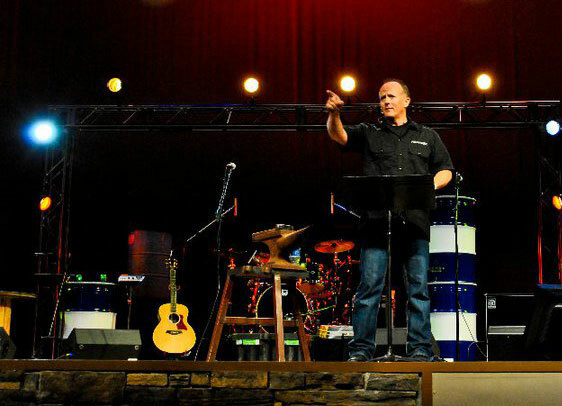 “Instead of having a clinic where so much is repetitious from year to year, we decided to have two rallies to pump up the people about VBS from LifeWay,” said Aaron Summers, pastor of Perry, First. 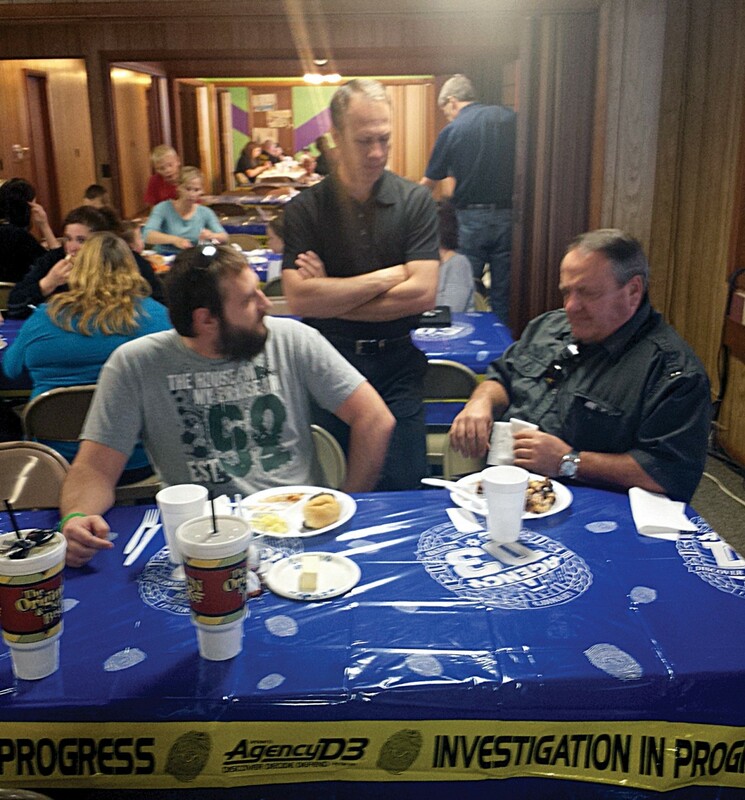 “I have been an associational VBS director for several years and saw how the attendance was waning. Our missions team got together and began to brainstorm ideas of how to increase our attendance because VBS is so vital to our churches. Cherokee Strip looked for ways to bring in the young parents for information, while also making it a family-friendly event. Instead of one event they created two: West side and East side of the association. Each event schedule was the same. From left, Darrell Ring, youth minister at Enid, Calvary, Brian Frable, pastor of Ringwood, First and Steve Williams, pastor of Enid, Calvary, visit during lunch. 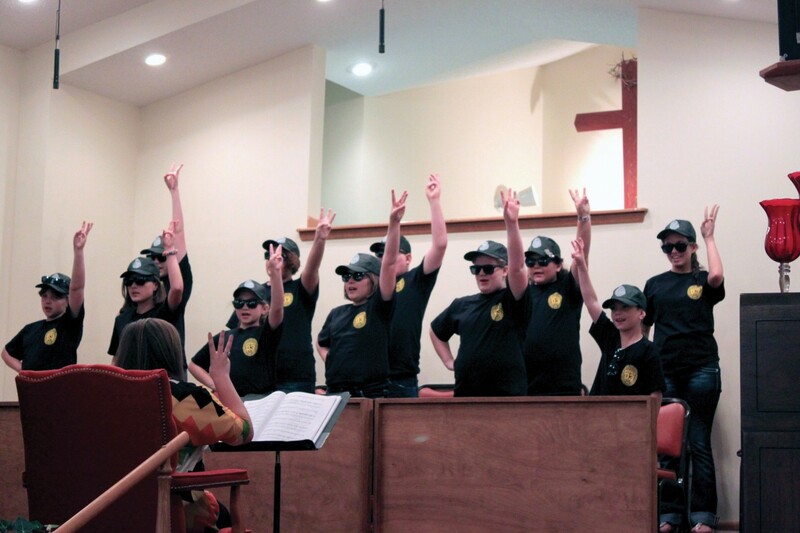 The children’s music and drama (MAD) choir from Perry, First provided the music and motions, while Summers shared each day’s question and evidence. Each night, there were several give-aways, including an entire 1st-6th grade Starter Kit for one lucky church. Even though they had “never done it that way before,” CSBA saw new churches get involved and more people get excited about the greatest evangelistic event in the life of church each year. Order your VBS materials from http://blog.lifeway.com/vbs/ or visit your local Lifeway store today!